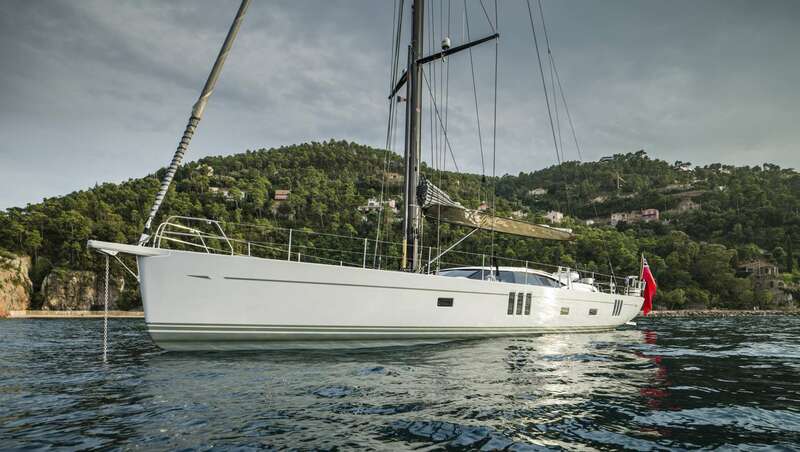 Sailing yacht GRAYCIOUS is a 22.35m (73' 4") vessel built by Oyster Marine and launched in 2016. 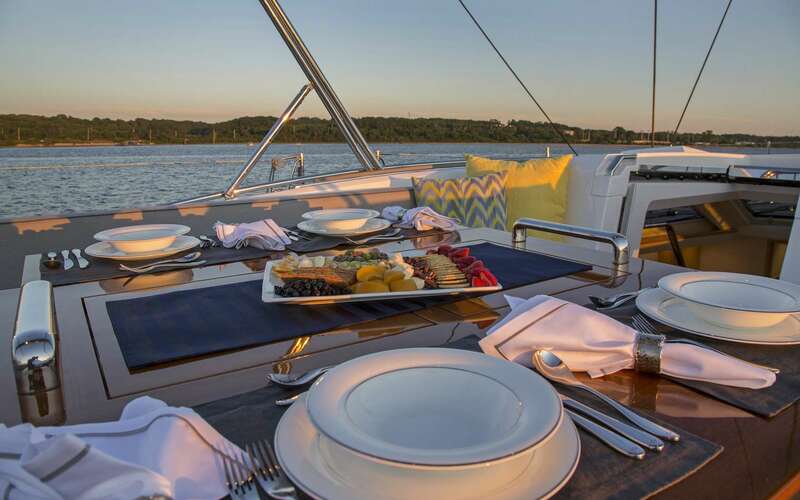 The yacht offers modern and inviting accommodation in four deluxe cabins for up to six charter guests in total. She has a crew of two on board. Above deck, the spacious central cockpit contains two C-shaped settees with a fold-out table between them to extend as required. 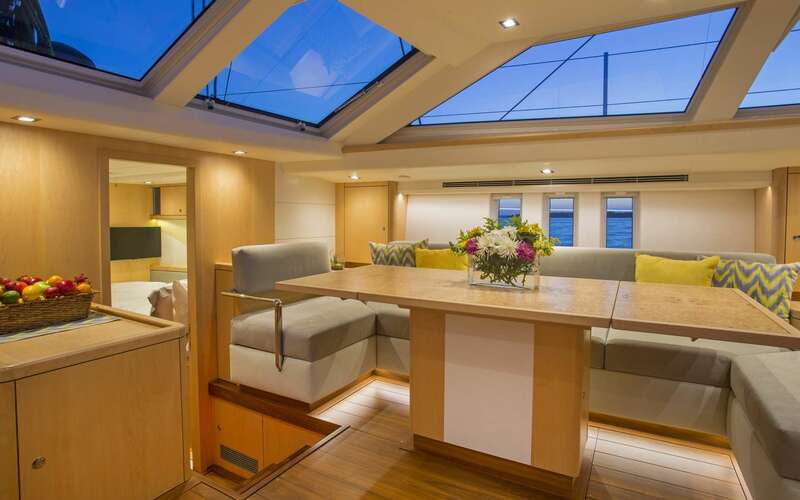 The helm controls are placed behind with room to the stern and on the foredeck for observation and sunbathing. In the salon, the white oak panelling and tabletops emphasise the sense of space within the interior, which is flooded with daylight through the sizeable windows forward and on both sides. A C-shaped sofa is placed to port with a similar setting adjacent with the raised oak table for formal dining. 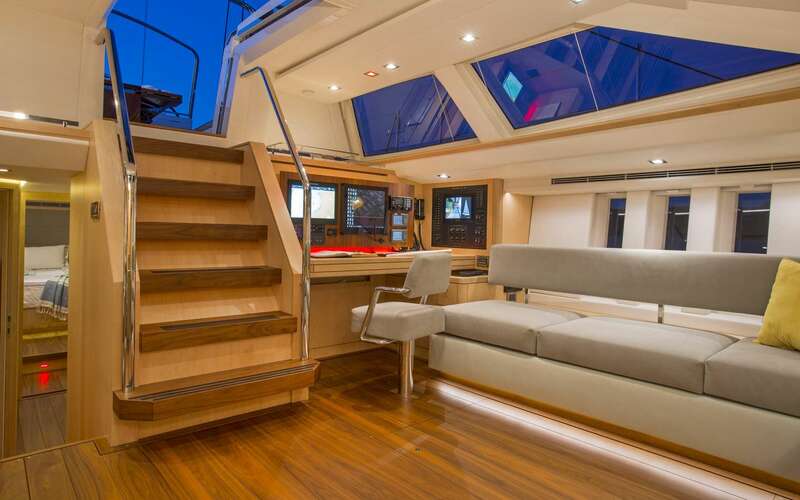 The galley is forward and down the stairs from the salon, with the crew accommodation in the bow. 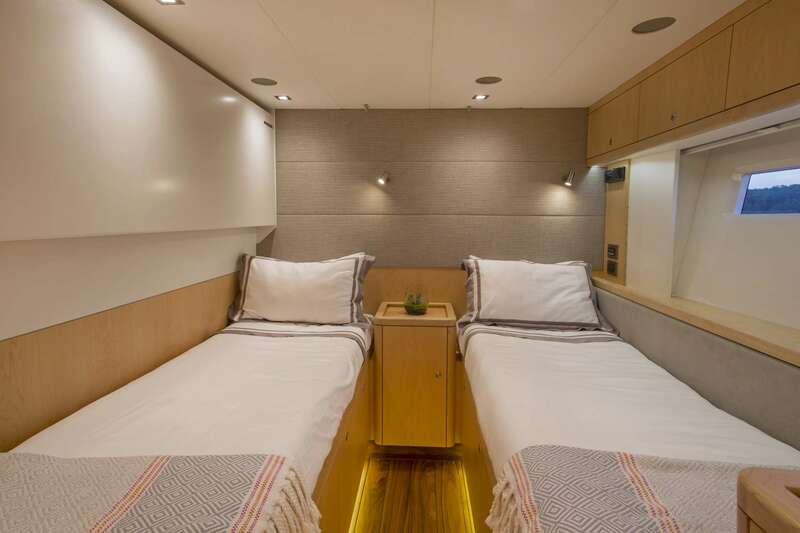 Behind is the guest accommodation which consists of four cabins to sleep up to six guests, and one of the cabins contains a kid's media room with a single berth. 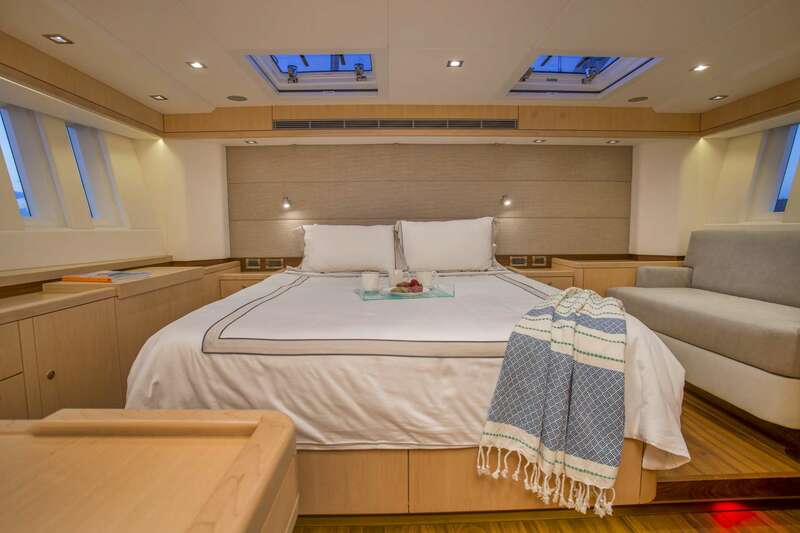 The master cabin is located aft with a centre line queen bed and ensuite head. 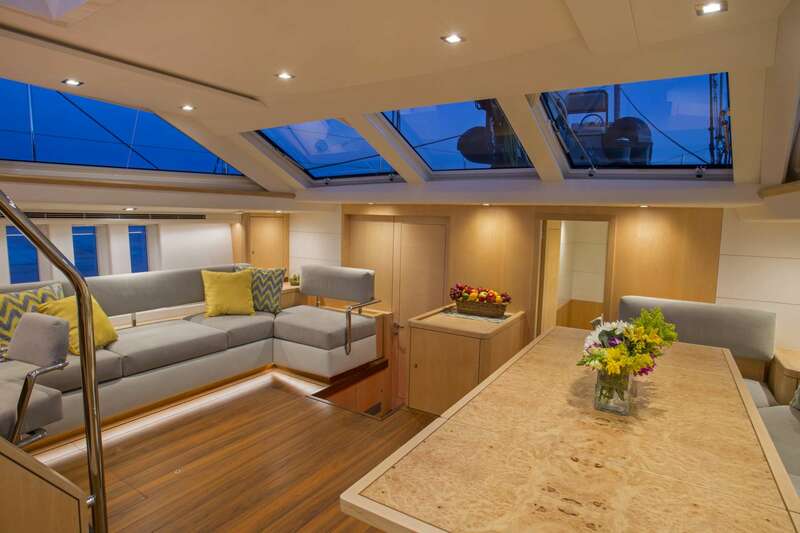 The port aft cabin has a double and head that is shared with the starboard aft cabin. 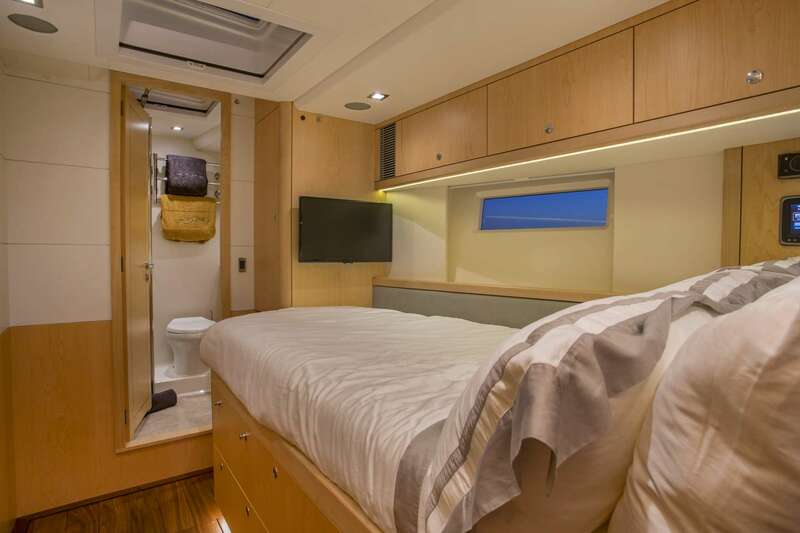 The starboard aft cabin is a kids media room with a single berth and a pipe cot. 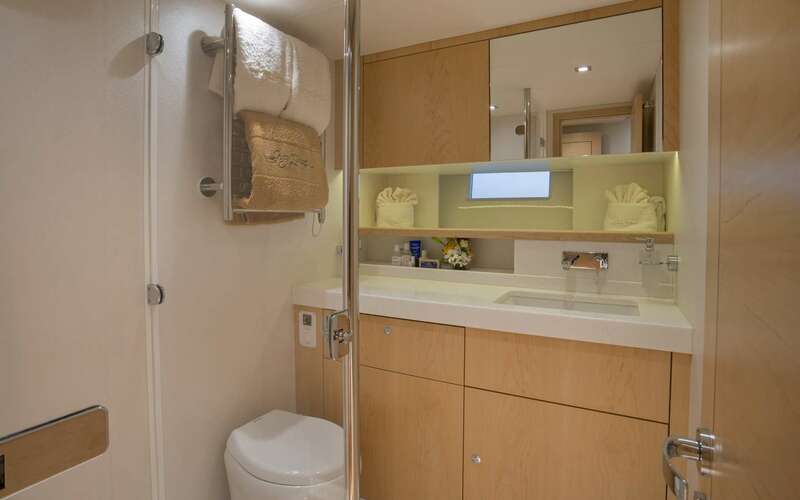 Forward of the salon to starboard is a small double bed with ensuite head. 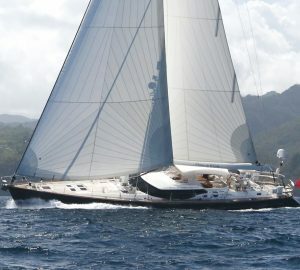 The crew are forward of the galley.